Are you looking for GPS Surveyors in North NJ? Omland & Osterkorn, Inc. has been GPS Surveyors in North NJ for many years with precision and great customer care. Omland & Osterkorn, Inc. uses GPS technology to provide clients with the latest surveying techniques. Global Positioning Systems now provides the results with very high accuracy for nearly every kind of conventional survey. From mountains and rivers to streets and buildings to utility lines and almost any other resource you can think of, GPS now supports the accurate mapping and modeling of the physical world and its various landmarks. At Omland & Osterkorn, Inc., GPS technology is frequently used for topographic mapping, site monitoring, and ground control establishment. 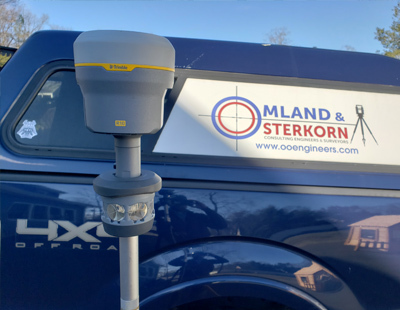 Combined with more conventional surveying (using total stations), GPS technology allows Omland & Osterkorn, Inc. to tackle any kind of survey job accurately and efficiently. For more information about our GPS Surveyors in North NJ, speak to one of our surveyors at 973-647-7820. Omland & Osterkorn – Your Trusted Source for GPS Surveyors in North NJ.